Pacific Northwest National Laboratory is part of a team led by Argonne National Laboratory that will receive $120 million from the Department of Energy to establish a new batteries and energy storage research hub called the Joint Center for Energy Storage Research, or JCESR. 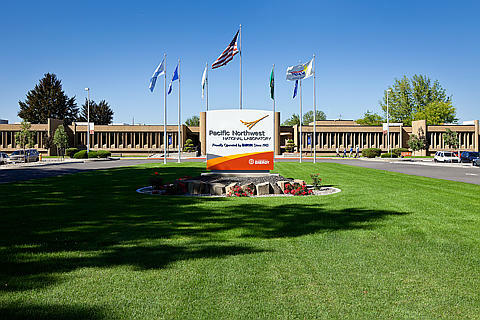 PNNL will receive $15 million over five years. The announcement was made on November 30 by DOE. JCESR will combine the R&D firepower of five DOE national laboratories, five universities and four private firms in an effort aimed at achieving revolutionary advances in battery performance. Advancing next-generation battery and energy storage technologies for electric and hybrid cars and the electrical grid are critical to help reduce America's reliance on foreign oil and lower energy costs for U.S. consumers. PNNL will tap into its extensive experience in fundamental and applied sciences, including advanced materials synthesis, characterization and modeling, as well as electrical grid infrastructure, grid storage and management, to help improve the performance, reliability and life-span of batteries. PNNL will also play an important role in developing new technologies for stationary storage to enable widespread use of renewable energy. Unique research tools and imaging expertise from researchers in EMSL, DOE's Environmental Molecular Sciences Laboratory at PNNL, will help the team understand complex electrochemical reactions as they occur within working batteries, as well as determine why batteries ultimately fail. PNNL's expertise in materials synthesis and processing will also contribute to the development of low-cost, high-capacity electrode materials for advanced batteries with unprecedented energy density and power. "This is a partnership between world-leading scientists and world-leading companies, committed to ensuring that the advanced battery technologies the world needs will be invented and built right here in America," said Energy Secretary Steven Chu. "Based on the tremendous advances that have been made in the past few years, there are very good reasons to believe that advanced battery technologies can and will play an increasingly valuable role in strengthening America's energy and economic security by reducing our oil dependence, upgrading our aging power grid, and allowing us to take greater advantage of intermittent energy sources like wind and solar." JCESR will integrate efforts at several successful independent research programs into a larger, coordinated effort designed to push the limits on battery advances. Advancements in batteries and energy storage technology are essential for continued efforts to develop a fundamentally new energy economy with decisively reduced dependence on imported oil. Improved storage will be vital to fully integrating intermittent renewable energy sources such as wind and solar into the electrical grid. It will also be critical to transitioning the transportation sector to more flexible grid power. JCESR will be centered at Argonne, outside of Chicago. The State of Illinois will provide $35 million to construct a 45,000-square-foot home for JCESR. DOE research centers - Argonne National Laboratory, Lawrence Berkeley National Laboratory, Pacific Northwest National Laboratory, Sandia National Laboratories and the SLAC National Accelerator Laboratory. Research universities - Northwestern University; University of Chicago; University of Illinois, Chicago; University of Illinois, Urbana-Champaign and the University of Michigan. Industry - Applied Materials, Clean Energy Trust, Dow and Johnson Controls.